Dermacolor is produced and sold by Kryolan Professional Make-up. There is a huge range of colours available within the Dermacolor range. It is available in a range of mediums such as Body Cover, Camouflage Foundation, a 'Lite' version and an easy-to-use 'Erase Stick'. widely available to buy from the internet, in some shops and is available to order from your local chemist with a doctor's prescription. Veil was established in 1952 and has since increased the amount of skin tone colours and correctors to suit more skins and conditions. They have a smaller range of colours than Dermacolor but their camouflage creams are slightly 'creamier' in their consistency which some people find easier to apply. Veil is available in selected shops and from the internet and pharmacies via doctor's prescription. Keromask has a range of only ten colours meaning it is likely you will need two colours mixed to match your skin tone. They have a lovely creamy texture and yet provide very good cover. 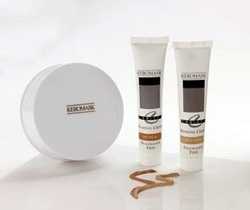 The Keromask creams are best suited to larger areas which require camouflage. Keromask is available mostly via the internet or your local pharmacy via doctor's prescription. 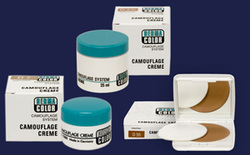 Available mainly in Harvey Nichols department stores in the UK, Cover FX is a newer arrival to world of camouflage creams being established in 1985. Their products are also widely used in the world of Hollywood film making standing up to the scrutiny of the high definition medium of film. They have an extensive range of colours which provide medium to full cover. Although primarily a provider of cosmetics, as a make-up artist and skin camouflage specialist I have found some of MAC's products to be very helpful in the world of skin camouflage. They have a great range of foundations and concealers which can be combined to cover many condition. Unlike camouflage creams MAC's products are not sold as 'medical' creams and may not be suitable for very sensitive skins although this is not always the case. Their range of skin tones is second to none and they were one of the first cosmetic companies to truly understand and provide for the range of skin tones in the world today. A French cosmetics company which has a great range of High Definition products (designed for film and high definition television) with a huge range of colours. The cover provided by this brand is not as full as the camouflage creams and won't have quite the same staying power but for general discolouration, especially on the face, they can provide just the right amount of cover for some people's requirements. 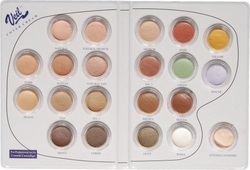 Available mainly via the internet in the UK this American theatrical cosmetic supplier has a new range of High Definition concealers and foundations which can cover many conditions in a great range of colours. 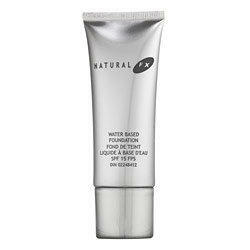 Best suited to the face the products are easy to apply and look extremely natural to the naked eye. The Bare Minerals range from this company are in my opinion one of the best mineral cosmetic ranges around. For lighter markings or discolouration on the face sometimes the mineral foundation on its own is enough. For more problematic areas the mineral foundation can be used over a concealer or a camouflage cream to give an overall more natural skin look. Great for Rosacea, these pure mineral products can actually help the skin rather than irritate as some cosmetics can.